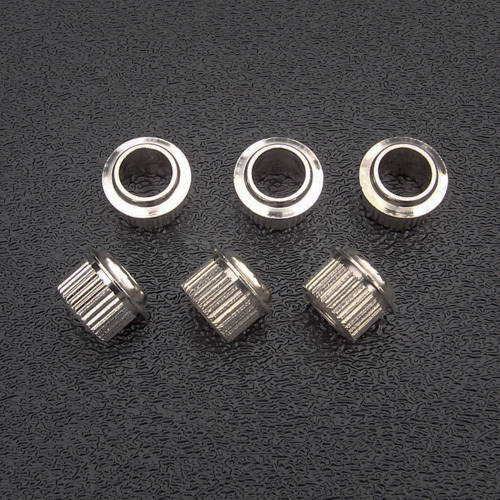 These packaged bushings are the slightly smaller size bushings which are designed to fit a tuner with a post size smaller than 1/4", but be sure to review the actual dimensions below and compare to your necks peg head holes and tuner post size. Peg head holes should be a few thousandth's of an inch smaller than the OD dimension for a press fit. Fender states these bushings to have a 0.345" outside diameter which is not what we find by actual measurement. We measure each of these bushing sets before shipping to confirm each bushing is within the stated sizes below. The sizes listed below are the specs of the bushings you will receive.